So here's a true story: I woke up in the middle of the night with all these The Last Jedi debates raging in my head and couldn't go back to sleep for at least an hour. I just lay there thinking about all the internet outrage over this divisive movie (that, as I write this, has just been named the highest-grossing film of 2017) and this article you're now reading began to crystalize in my head. I'm not sure I'll be able to put it together with the clarity that I had in the pre-dawn hours of the early a.m., but I'm going to give it my best shot. I hadn't planned on writing anything else about this movie, and I've been enjoying some time off for the holidays. Besides, neither the world nor the internet need another write-up about The Last Jedi. I can't imagine anything needing to be said that hasn't been already, but...here I go writing another piece on the movie. Part of why I feel it's necessary is because I was so glowing on the movie when I wrote "Why Rian Johnson's The Last Jedi is Good for Star Wars", and the level of outrage had not yet reached the crescendo that it has for the past couple of weeks. In the days following the release of the movie, I was seeing more and more anger and outright hate online, usually directed with unbridled venom at the people responsible for making or starring in the movie. Really I'm writing this because the world is a different place three weeks after the release of this movie. At least, it seems like it is to me. Spoilers for all Star Wars movies follows. Listen, guys, I lived through the Prequel Trilogy and the subsequent outrage that followed those movies. All the claims that "George Lucas raped our childhood" and the backlash after The Phantom Menace...yeah, I lived through all of that with some measure of bewilderment. Ironically, I was always mostly okay with The Phantom Menace, even though I never cottoned much to Jar Jar. It was Attack of the Clones that was the polarizing movie for me, making me wonder if George Lucas had really planned all this out as much as he'd been telling us he had. When I wrote up all six existing movies over at F This Movie, it was Attack of the Clones that took most of my disappointment, even all these years later. You know what, though? I watched the Prequel Trilogy last week and Attack of the Clones was better than I remembered it being. Anakin's dialogue wasn't as bad as I'd remembered. Hayden Christensen delivered his lines with more conviction and more emotion than I recalled. The love story worked better for me. The extended arena fight didn't drag for me. Even Yoda's duel didn't bother me like it had most every other time I'd watched it. My point is, every Star Wars fan seems to have a movie in the series that lets them down. For a lot of people, especially those under thirty, this is that movie. It's the one they didn't expect, the one that seems to fly in the face of all their fandom. I understand this. I really do. I think my point is that perspective can alter the way we view things. Also, our perspective is changing all the time. We are not the same from day to day, week to week, year to year. We grow and change, and expect different things. Furthermore, our opinions of movies that we enjoy or dislike can rise and fall as we watch more movies and are exposed to more stories. 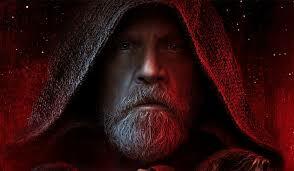 With a lot of the criticism I'm seeing about The Last Jedi (and criticism really is a generous word), there doesn't seem to be a lot of perspective. 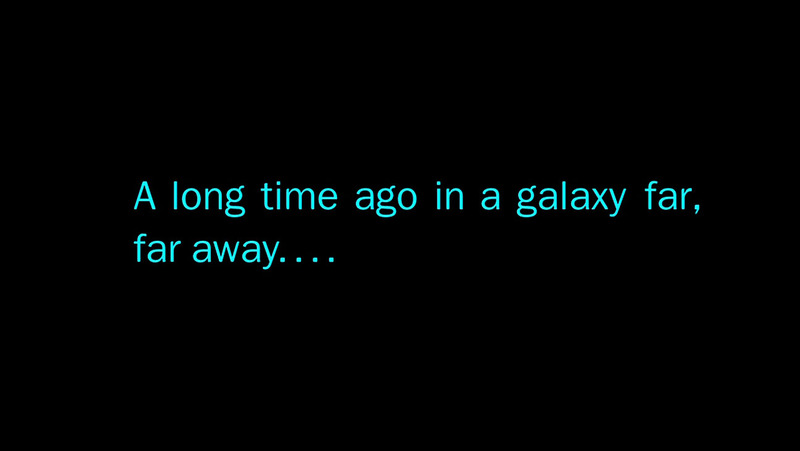 It's weird...I think The Force Awakens delivered such fan service that when this movie came along and offered virtually none, a backlash was inevitable. The Last Jedi is not a perfect movie. It has a fair amount of flaws, and the decisions behind the movie seem to have been made deliberately to upset the apple cart and go in a bold new direction. How can we assess those decisions and objectively look at what does and doesn't work about the movie when the level of conversation is so low? There's something I like to call "the Twitter illusion" in which about 20,000 (possibly more) people seem to speak for everyone. They're the loudest, the angriest, the most aggressive. These are the people who are saying "Rian Johnson ruined Star Wars." These are the people calling Mark Hamill out as being a corporate shill. They use words like "social justice warrior" and bristle that Asians inhabit roles that white people could have filled. When directly confronted about their problems with the movie and asked for specifics, they will only say "it's not my Star Wars." Having lived through the backlash during the Prequel Trilogy, I am amazed at how much angrier the level of conversation is this time around. As if any of us are owed the movie we expected. As if a movie--at the end of the day--really matters in the grand scheme of things when there is hunger and poverty and homelessness. If we're going to discuss the faults of The Last Jedi, we have to make sure what we're saying deserves to be heard. This means avoiding making statements like "it doesn't look like Star Wars." Actually, the movie looks quite a bit like Star Wars. I would suggest perusing The Last Jedi: The Visual Dictionary and The Last Jedi: Incredible Cross-Sections so you can see the designs of the ships, costumes, and baubles which often look very much like those from the last forty years. 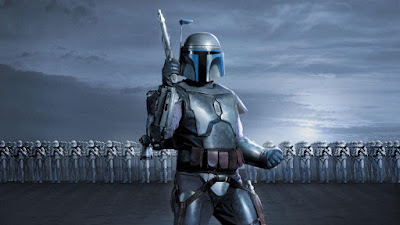 In many cases, those things are taken from designs going back to the Original Trilogy days and even the work of conceptual designer Ralph McQuarrie. And if you don't know who Ralph McQuarrie is, you probably shouldn't be talking about what does and doesn't look like Star Wars. This means avoiding statements like "there is no plot." This movie is incredibly plot-heavy. While we can debate the effectiveness of certain plot points, like whether or not the Finn and Rose subplot was a good use of time, or whether the subplot about the fleet running low on fuel was lifted from Battlestar Galactica, we can't say that the movie has no plot and expect to be taken seriously. We also can't say "This movie has no character development" when literally every major character ends up in a different place emotionally than when we first join them in this movie. The one that really bothers me is that "Star Wars is the story of the Skywalker family, but there are no more Skywalkers because this movie killed Luke." First of all, just because Luke is now one with The Force doesn't mean he's been written out of the story. If you listen to Rian Johnson in interviews he's given since the movie came out, he'll tell you that he thought Luke could serve the story better moving forward if he were in this other place, meaning this ethereal realm where physical limitations could no longer bind him. It's like Luke tells Kylo Ren in the movie, strike him down and he'll be with him FOREVER. Did Obi-Wan disappear from the story just because he got struck down in A New Hope? Furthermore, this complaint about Skywalkers is missing something very blatant: KYLO REN IS A THIRD-GENERATION SKYWALKER. I would think that him talking to Darth Vader's melted helmet and asking for guidance from his grandfather would have been enough to make it clear to people that he's a Skywalker, like his mother before him. Even his assumed name is a combination of his parents: sKYwalker/soLO. As long as Ben Solo is traipsing around the galaxy, the Skywalker saga continues. I would go as far as to argue that Kylo is one of our two main characters. He and Rey are two halves of the same coin, each working toward something we can't quite see yet. People assume this is Rey's story. I wouldn't be at all surprised if we look back and discover she shared it all with Kylo Ren. Time will tell. Imagine that: waiting to see how things turn out when this story is over. There are tons of other complaints that are easily dismissed, but divert attention from what we should be talking about. "Rey is a Mary Sue." Well, so was Luke, Anakin, Obi-Wan, Yoda, and even Leia. If you're watching these movies and identifying Mary Sues, you probably don't really care about this franchise anyway. Besides, Mary Sues are direct descendants of the heroes of myth, like Perseus (Mary Sue! ), Hercules (Mary Sue! ), Artemis (Mary Sue! ), and Atalanta (you guessed it). Star Wars is mythic fantasy, and it always has been. Another one is that Rian Johnson went rogue and made this movie behind Disney's back, betraying all the groundwork that J.J. Abrams had laid in The Force Awakens. It would be IMPOSSIBLE for a filmmaker to make a movie without Disney's express interest in every step of the creative process. This script (written while The Force Awakens was still being filmed, so it's not a reaction to that movie) was overseen by Kathleen Kennedy all along the way. They love what he did with the story, and they were happy at the new directions he took things. You can call that right or wrong, but Rian Johnson made the movie he was asked to make. Look at how many directors Disney has fired from Star Wars in the last few years. They don't put up with people that don't share their vision and aren't team players. Lastly, J. J. Abrams IS an executive producer of The Last Jedi and also had a say-so in the way this movie played out. No one stabbed anyone in the back. Movies are a collaborative effort among hundreds of people and they all have to be working toward the same vision. If you don't like the direction that The Last Jedi went, you're mad at Disney and the entire creative team, not just Rian Johnson. Maybe you should be mad that they're starting on one movie before the previous one has even hit screens. With that out of the way, here are some of the things that we SHOULD be talking about. 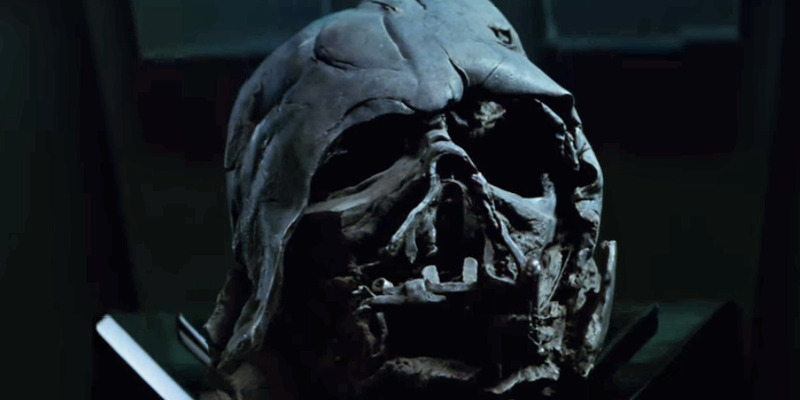 Was this really the best use of Luke Skywalker? This is one that I really struggle with. Mark Hamill has been very vocal about having his doubts that this was the Luke he knew and portrayed. He even goes as far as to say that the Luke in this movie is so different from the one he brought to screen that he had to play him like a different character. He's right, this Luke is a big step away from the guy who defeated the Emperor by throwing down his lightsaber and refusing to fight his father, believing that there was still good in Anakin Skywalker and that love could (and did) save the day. Now he's standing over his nephew with an ignited lightsaber thinking about killing him. Of all the inconsistencies in the character during The Last Jedi, this is the most glaring. I can get on board with most everything else. Luke was always kind of whiny and angsty, just like his dad before him. Luke disappearing on a desert island far from the eyes of humanity might be consistent with the exile we've seen other Jedi impose upon themselves (Obi-Wan on Tatooine, Yoda on Dagobah), but it does seriously hamper the adventures we COULD have had. That's really my struggle with Luke in this movie. We could have gone anywhere with this story. J. J. Abrams had a completely open blue sky and this is the story we're getting? I guess I get it, because it reflects where we are as a culture right now. The new trilogy is concerned with reconciling our own failures and disappointments and either moving on or giving in to our doubts. It's a more grounded brand of storytelling, an emo story for an emo generation, set against the backdrop of an entire galaxy. But think about the possibilities. I've read over a hundred of the novels that made up the Expanded Universe before Disney bought Lucasfilm and rebooted all those stories as "Legends." 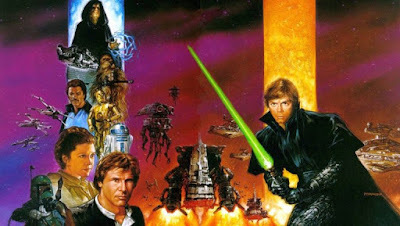 Some of those adventures of Luke, Han, and Leia were fantastic (Timothy Zahn's "Thrawn" trilogy and Kevin J. Anderson's "Jedi Academy" trilogy), some of them were decent (Michael P. Kube's "The Black Fleet Crisis" trilogy), but most of them were over-wrought, over-plotted excuses to throw our heroes into adventures well after they should have all disappeared into the sunset. By the time of the 20-odd volumes of the "New Jedi Order" series, the magic was gone. I think of how awesome it would have been to have seen our heroic trio go on one last big-screen adventure together. That's the real crime here: we could have had an adventure with Luke, Han, and Leia that also included new characters like Rey, Finn, and Poe where the torch was passed. They could have written that story. We could have seen our heroes together one last time, facing down the Empire that they thought they'd defeated. Instead, Han is a smuggler again, Leia is a general with very little screen time, and Luke is a hermit on Ahch-To. We will never have all three on screen again. NEVER. Should we be mad at Rian Johnson for this, or is this a larger problem with Disney not quite being sure where to go with this franchise? Disney made their choices, though, and they've stuck to their guns. I suspect they really don't care how divisive this movie has been, because it's made a bunch of money, and money is what really talks when you're a mega-corporation. For all the complaints online, people are still flocking to the theater over and over again. People who hate a movie don't go see it over and over. But Disney has been very clear about the direction of this movie. If you're looking, the message to viewers to prepare themselves has been everywhere. One thing that's given me some more perspective since I wrote that first piece about this movie is that I've now immersed myself in the current Expanded Universe, including the visual dictionary and the cross-sections I previously mentioned, but also the novels, including The Legends of Luke Skywalker. The Legends of Luke Skywalker is about a ship-full of people passing around tales they've heard about Luke Skywalker, a man who has become a mystery in the years following the destruction of the second Death Star. When someone in the book complains that one of the stories is ridiculous, this is what he's told: "You asked for a story. Don't blame the teller if the story isn't what you were expecting." And then later, the storyteller also says "Hearing stories you don't like can be a good thing. It reminds you that not everyone thinks alike." I have a hard time seeing this as a coincidence and not groundwork being laid by Disney because they knew they were going to ruffle some feathers. You add that passage to the fact that in every trailer Luke is saying "This is not going to go the way you think" and I think you've got a very clear message from Disney to their audience. They have a point, too. Do movies exist to make us happy and give us what they want? Or do movies exist to occasionally challenge us and shake us out of our comfort zone? I suspect this has been Disney's plan all along. One movie for the fans to draw everyone back in, then one movie that shakes up the whole mythology. Who knows what we'll get with Episode IX? When Snoke and his First Order used Starkiller Base to blow up that planet in The Force Awakens that had all the political leaders on it (it's called Hosnian Prime), they decapitated the New Republic government, leaving the galaxy without leadership. Snoke's ultimate plan is to take control of the galaxy, and by blowing up Hosnian Prime, he came very close to doing just that. 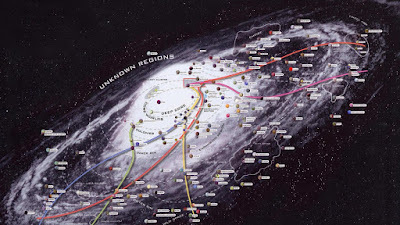 Snoke was pulling all these strings from a far away part of the galaxy called "The Unknown Regions," an area of space that has not been explored but that Emperor Palpatine was in the process of charting when he was killed. Palpatine believed that there were secrets about The Force and The Dark Side in the distant reaches of space, and this is the area that Snoke and The First Order have been hiding within, amassing power, building ships, and creating an army. 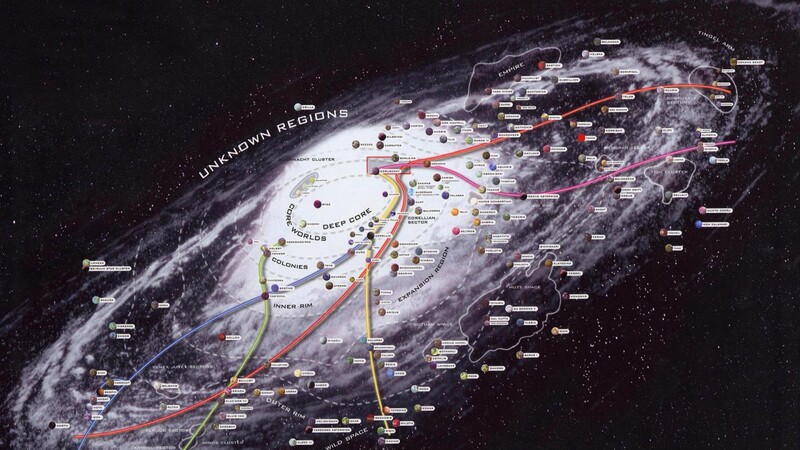 In The Last Jedi, Snoke has finally entered the galaxy at large, chasing down the last remnants of The Resistance (the people who refuse to fall under First Order rule after the collapse of the New Republic). There are only a few ships left and a few dozen people. Most independent planets don't want to help The Resistance because they don't want to get caught up in another galactic civil war. Now, isn't this information IMPORTANT to the overall story to give us scope and to help us understand WHY our heroes are so important? This information belongs ON SCREEN. It sounds like I'm being hard on this movie, and I suppose I am. I think there are some legitimate flaws and some lapses in logic not just in The Last Jedi, but in the whole trilogy so far. These are not Rian Johnson problems or J. J. Abrams problems (although I still question his method of mystery box storytelling); they are the problems that come with a corporation and not a singular creator making movies. For better or for worse, we are now in the era of executive-led storytelling. That's why we have a trilogy that was not planned out ahead of time and why they are STILL making a lot of this up as they go. When J. J. Abrams wondered who Rey was and what the role of Snoke in this story would eventually be, he didn't actually have answers to any of it. This is why I think dangling plot-threads and huge mysteries don't really have a place in Star Wars. 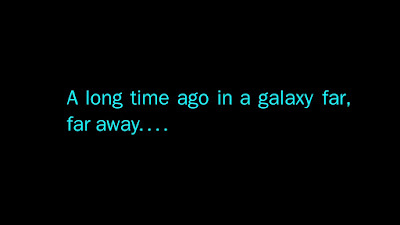 When A New Hope ended, there were no dangling plot threads. When The Empire Strikes Back rolled its credits, we knew Vader was Luke's father, Han had been captured, and things weren't looking good, but there was no lingering mystery as to anyone's identity. Star Wars is not Lost or Alias. The magic happens on the screen. Or it's supposed to. With all that being said, I still love this movie. I still think this was the best step forward for Star Wars, and I think it's opens a lot of doors for the future that weren't open before. For Star Wars to still be meaningful to kids of a new generation, it needs to jettison some of the baggage of the past and embrace new heroes, new worlds, and new opportunities. Though I have nitpicks (like...a lot of them), I still think this is mostly the way to go. I'm even more crazy about this movie than I was three weeks ago when I first typed up my thoughts. I see the limitations, I see the missteps, but I also see so many people giving this work everything they have. Star Wars may now be a corporate thing, but that corporation has succeeded in hiring people who approach these movies with a lot of care, effort, and yes, even love. I may not love everything I've seen in this new trilogy, but I also understand that it's not necessarily all for me, either. Plus, this story is still a long way from being over. I may have some legitimate complaints when all is said and done, but I can't deny that it's been a heck of a ride, and I'm looking forward to seeing where it goes.